The sending and receiving parcels can really turn out to be a task for you, until, you don’t have set the tool to measure the package. According to a research report, a huge proportion of UK customers pay more than they need to when sending parcels, as they submit inaccurate dimensions of packages. This industry-changing app allows users to get accurate readings and book a courier collection without leaving the comfort of their home. To solve untangle this mess, Courier comparison site ParcelBroker has rolled out an app that can measure parcels and give instant postage prices. The app can run on any AR-enabled Android smartphone and is available in the UK region. 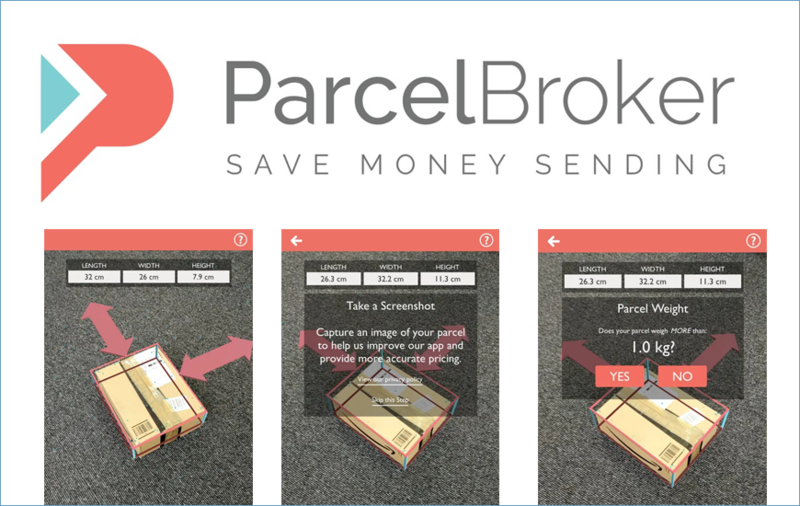 Courier comparison has come up with the first augmented reality application named ParcelBroker, that allows users to reduce their postage costs by accurately measuring their items to be shipped. Using the latest AR technology, the app allows users to point their camera at a box they need to send, displaying its dimensions and giving an instant price estimation. The ParcelBroker app then compares rates with the UK’s leading carriers like Parcelforce, UPS, TNT, DHL, FedEx and more. "Being charged the wrong amount due to inaccurate measurements is the second largest complaint after late and damaged parcels, ParcelBroker Director, Gregg Temperley, said. “We created the app to try and combat avoidable inaccuracies that affect the price we pay for shipping." The app is great for online sellers using marketplaces like eBay, Amazon, and Etsy, who need an upfront delivery cost to create a listing. ParcelBroker’s app allows users to “create” a 3D box around their item, even before it’s packaged; users can even leave room for internal packaging like bubble wrap, meaning they don’t have to miss out by underestimating postage costs.